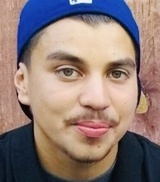 Posted Feb. 1, 2019, 12:35 p.m.
Posted Dec. 11, 2018, 4:48 p.m.
Osvaldo Hernandez, a 22-year-old Latino, died Thursday, Dec. 6, after he was shot in the 7300 block of Vista Del Monte Avenue in Van Nuys, according to Los Angeles County Medical Examiner-Coroner’s records. Shortly before 10 p.m., Los Angeles police officers responded to a call of a shooting and discovered Hernandez and a 22-year-old man in the parking lot of an apartment complex with gunshot wounds, according to police. Both men were taken to a hospital. Hernandez was pronounced dead at 10:16 p.m., according to coroner’s records. The other man is expected to survive. Investigators believe that the two men were in the parking lot when one or more people walked up and began shooting without provocation, said LAPD Det. Dave Peteque. So far, the motive is unknown. Anyone with information is asked to call detectives at (818) 374-1934. Those who wish to remain anonymous can call Crime Stoppers at (800) 222-8477.